This grass has just recently changed name and been transferred to another genus! Ligule a ciliated membraneous rim. Inflorescence a spike-like raceme to 15 cm long, white to pale purple. 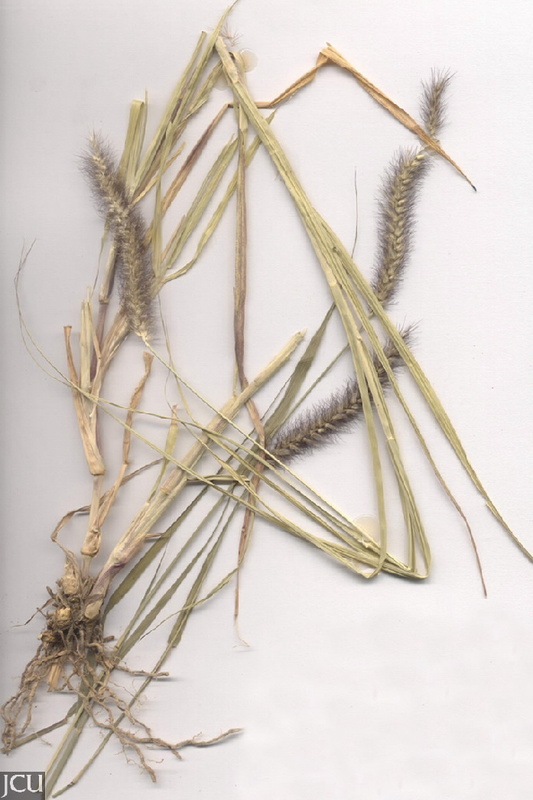 Spikelets covered with barbed bristles.